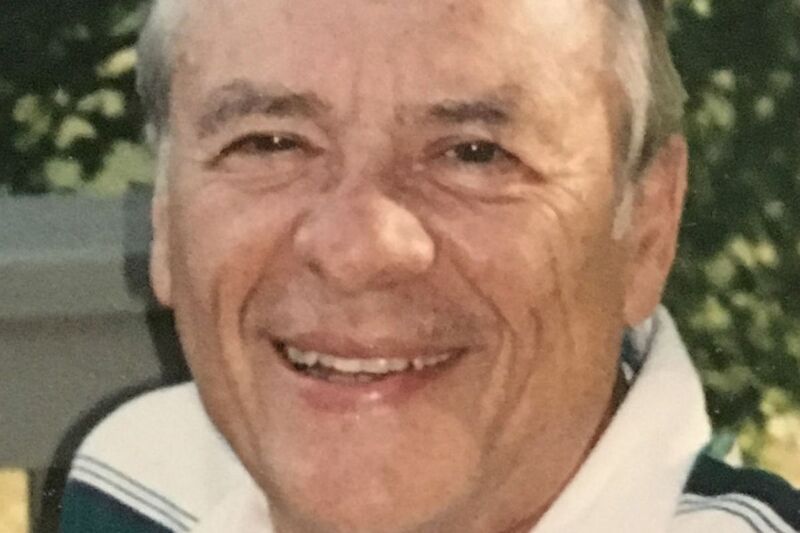 George E. Ruff, 89, of Philadelphia, a psychiatrist who helped select NASA's Mercury astronauts and later was a professor at the University of Pennsylvania, died at his home Friday, Sept. 29, of a variant of Parkinson's syndrome. From 1957 to 1959, Dr. Ruff was on active Air Force duty, assigned to the Aerospace Medical Laboratory as chief investigator of the stress and fatigue section at Wright-Patterson Air Force Base, Ohio. In that role, he helped choose America's first men to go into space. The selection process was trailblazing and exacting. The Mercury Project objectives were to place a spacecraft into orbit around the Earth, observe the astronauts' performance while weightless, and safely recover the astronauts and the spacecraft, according to a 1965 NASA history compiled by Mae Mills Link. On Monday, Feb. 2, 1959, a total of 69 candidates for the seven astronaut positions reported to Washington under special military orders. They attended briefings and later in the day were asked to volunteer or decline. No record was kept of those who declined, although the retention rate was 75 percent. The second phase was a psychiatric evaluation by Dr. Ruff and his colleague, Dr. Edwin Z. Levy. Each recorded his conclusions. They compared notes and then reported to the selection committee. Thirty-two candidates survived the vetting. The 32 underwent another battery of tests designed to determine personality and motivation, as well as intelligence and special aptitudes. They were then put through grueling stress tests to measure their tolerance of heat fluctuations, acceleration forces, low barometric pressures, pressure-suit protection, isolation, and confinement – the conditions they would encounter in space. The Mercury Seven at Ellington Air Force Base in Houston (from left): L. Gordon Cooper Jr., Walter M. Schirra Jr., Alan B. Shepard Jr, Virgil I. “Gus” Grissom, John H. Glenn Jr., Donald K. “Deke” Slayton, and M. Scott Carpenter. The seven chosen were L. Gordon Cooper Jr., Walter M. Schirra Jr., Alan B. Shepard Jr, Virgil I. "Gus" Grissom, John H. Glenn Jr., Donald K. "Deke" Slayton, and M. Scott Carpenter. Their ages ranged from 32 to 37. All were married, and at times, Dr. Ruff and his wife, Jean Heron Ruff, hosted them socially at their home. During one such gathering, "all they wanted to do was go to Bookbinders," his wife said. Once there, "they loved it." Dr. Ruff attended the launch of each space mission at Cape Canaveral and the debriefing on Grand Turk Island with colleague Dr. Sheldon Korchin. "George would go down to Cape Canaveral, and sure enough, there would be a cloud cover, and they would have to postpone the launch. George and Dr. Korchin would go fishing in the Banana River," his wife said. He stayed until the weather cleared for the launch; his family watched from home on TV. In the 1980s and 1990s, Dr. Ruff was called upon again, to serve on the advisory panel that developed the psychological selection procedures for the astronauts who served on the International Space Station. "At one point, they gathered in Japan. He had never been to Japan before. It was very exciting for him," his wife said. Born in Wilkes-Barre, he was the son of G. Elson Ruff and Thelma Suttles Ruff. After his family moved to Philadelphia, he graduated in 1945 from Central High School and in 1948 from Haverford College, where he edited the newspaper and was elected to Phi Beta Kappa. Dr. Ruff earned his medical degree from Penn in 1952 and was elected to Alpha Omega Alpha, the medical honor society. He completed a psychiatric residency at the University of Michigan. In 1959, Dr. Ruff joined the faculty of the Penn School of Medicine. He served in the department of psychiatry and the medical school, chairing search committees, and serving as associate dean of the medical school from 1975 to 1980. With Gary Gottlieb, he established the section of geriatric psychiatry, and was research director for the Research and Training Center in Aging. He retired from Penn in 1995 as professor emeritus, but continued his private psychiatry practice. Dr. Ruff was a thoughtful friend and generous mentor. "One of his great pleasures was spending time, home or abroad, with his family and friends while sharing a good meal, a clever joke, and discussing a broad range of topics," his family said. Besides his wife of 65 years, he is survived by daughters Lynne, Susan, Carol Wilhelm, and Nancy Bolgard; a son, John; 10 grandchildren; a sister; and several nieces and nephews. A celebration of life will be held at 2 p.m., Sunday, Nov. 19, at Germantown Monthly Meeting, 47 W. Coulter St. Burial is private. Memorial donations may be made to Germantown Friends School, 31 W. Coulter St., Philadelphia 19144, or to the VNA Hospice of Philadelphia, 3300 Henry Ave., Suite 500, Philadelphia 19129.